Zinedine Zidane remains the most in-demand manager on the open market as he waits to return to the game after leaving Real Madrid . 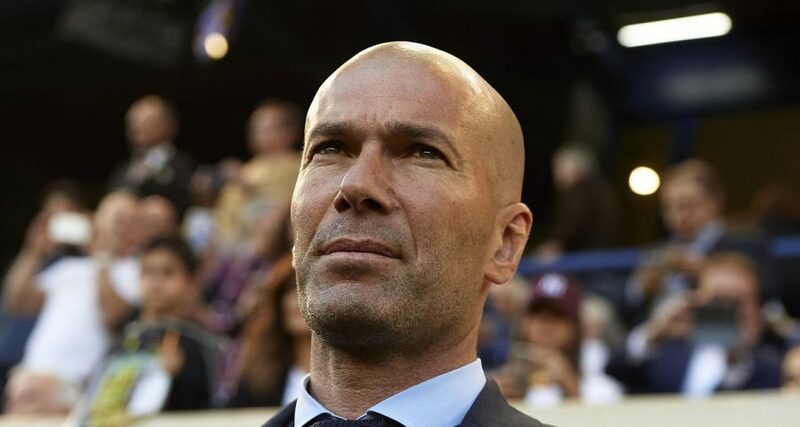 The French tactician is patiently waiting for his next challenge after delivering three successive Champions League titles in the Spanish capital. Reports have linked Zidane with a move to Old Trafford to replace Jose Mourinho after a turbulent few weeks in charge. With United on the slide and already eight points adrift in the title race behind Liverpool , the pressure is on the Portuguese – particularly after his public fallout with Paul Pogba. Zidane has remained out of the lime light, but he has given his most obvious indication yet that he is keen to grab the chance to succeed Mourinho in Manchester by taking up English lessons. The Sun claim Zidane is learning the language and he will have practiced during his recent trip to London. Zidane attended The Best FIFA Awards 2018, where he was nominated for The Best Male Coach of the Year, but lost out to his compatriot Didier Deschamps, who guided Les Bleus to World Cup glory. Zidane would be an appealing candidate for United fans, though the drop in quality compared to the players at his disposal at the Bernabeu would prove a challenge. Mourinho will attempt to salvage a desperate situation in the coming weeks, particularly in Europe, which could offer the best opportunity for success this term. Who will leave Manchester United first?